1) In Firefox 3.5 (and above), Chrome, and Safari, my “BlogStats in W3 Counter” window in my Worpdress dashboard will not let me log in and view the graph. In all 3 browsers, whenever I login to W3, and I think click “dashboard” in WordPress, my W3 turns into another login screen. Now, in any version of Firefox less than 3.5 (like 3.0.14 which I’m now using), it works perfect every time. 2) When I update a web page with a new image – for example if I’m customizing a client’s Facebook Fan Page with images – and when I save my changes, in all 3 browsers, my changes are not reflected. I have to go in (the same for all 3 browsers), clear my cache, hit “Ctrl + R” to do a hard refresh, and then I see my changes. So after a day or so of “once again” trying to see if Firefox has worked out the bugs in 3.5 versions, I’m “once again” downgrading to a 3.0 version. Ok – now that I’m done venting, here’s what I think it happening. And if any developers who are part of Firefox, Google Chrome, or Safari communities are here reading this, I would be so grateful to hear your comments, responses, and / or feedback as to what’s really happening and what I can do to fix these issues. I think what’s happening is that with Firefox 3.5, Chrome, and Safari, they are so optimized to render flash – and a lot of it – that the cache is not clearing continuously and / or properly. Since changes aren’t being reflected after publishing AND when I’m using one of these 3 browsers, that tells me there is a cache issue. And from that I can only assume that it’s because these new browsers are in a race to see who can render flash more efficiently. 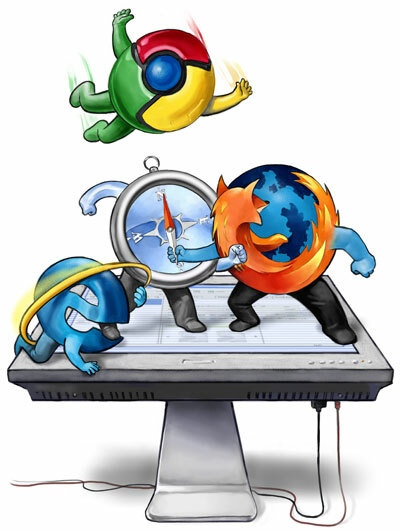 So there it is – my frustrations on these new, super fast browsers, and why I’ve ultimately downgraded back to an equally super fast Firefox 3.0.14 (September 2009 version I believe). And for experimental purposes only, will I go back to see if any improvements have been made to Firefox 3.5 or above, Google Chrome, and Safari.